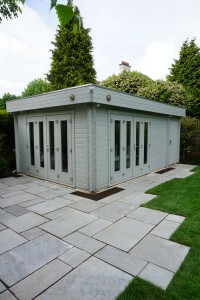 Have you been thinking about redoing your Poole garden? Would you like to have a garden transformation but you are lacking bright ideas? Then you need to get in contact with the most inspiring garden designer Poole has to offer, at Bamboo Landscapes. 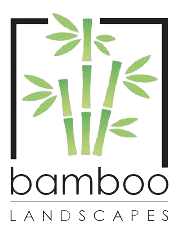 You will receive decades of knowledge and experience when you hire Bamboo Landscapes as your garden designer Poole team. Whatever ideas you have for your garden, or even if you have no ideas and just fancy a garden change, our garden designer Poole team at Bamboo Landscapes will be able to help. We have been designing and installing gardens of all shapes and sizes in Poole for decades now, and we will help you realise your dreams to create an outdoor space that enhances your whole property. One of the most popular hard landscaping options that our team of garden designers have completed in Poole homes is that of a gazebo patio area adjacent to your back door. This concept is fantastic for homes that are in Poole and other towns in England, as it allows you to enjoy the outdoor area while staying dry, even if it is pouring down with rain or snowing. Our Poole garden designer and horticulturist team can even include a beautiful wood burner on the patio, so you can stay cosy and warm while looking out upon your garden in the winter months. Additional hard landscaping options include fencing, decking, driveways, water features and stone pathways. Soft landscaping in a garden is a beautiful way to add greenery and colour to your garden through the inclusion of plants, flowers and bushes. Your designated garden designer Poole soft landscaper will help you to decide what your favourite plant life and foliage are, so your new garden will be a space that appeals to all of the human senses; sight, sound, smell, touch, and we can even install some herbs to cover the sense of taste! When you hire Bamboo Landscapes to be your garden designer Poole team, we will work with you to create a garden that will not only add value to your property, but will also be a space that is in keeping with the rest of your property. We promise that your garden will be designed around what specific features you want to appear in the area. No two gardens that we have created in Poole have ever been identical, because at Bamboo Landscapes, we understand that everybody has individual tastes and style preferences. Once our garden designer Poole team have created a proposal that you are 100% happy with, our team of highly qualified gardeners and horticulturalists will get to work realising this vision to an exceptional standard. By the time Bamboo Landscapes has finished the work in your Poole garden, it will be your new favourite space in your home, and you’ll want to spend all of your time in it every day. Check out our gallery to see images of the previous projects our garden designer Poole troupe have completed in the past, and become inspired. To arrange for a consultation with your new garden designer Poole homeowners only need to make one telephone call, and that is to Bamboo Landscapes. Speak to us today on 01202 805882 and we can begin the process of transforming your garden straight away!